“The Armenian authorities are acutely aware of the extremely high expectations of the population for change. 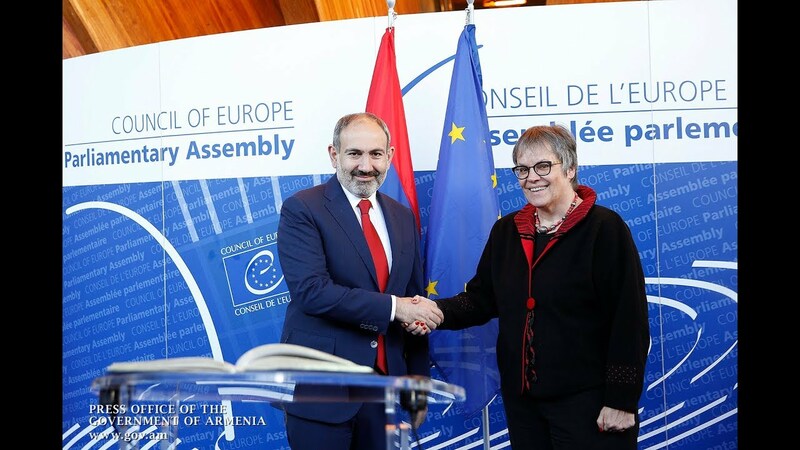 It is therefore important that the reforms now being formulated lead to concrete and tangible results,” said the co-rapporteurs of the Parliamentary Assembly of the Council of Europe (PACE) for the monitoring of Armenia, Yuliya Lovochkina (Ukraine, SOC) and Andrej Šircelj (Slovenia, EPP/CD), following a visit to Yerevan from 12 to 14 March 2019. The co-rapporteurs welcomed the commitment of MPs to give the Armenian National Assembly a central role in the institutional system, and the wish of members of the executive for a better distribution of powers, according to an official statement released Monday. “The ‘vertical of power’ tradition is old in Armenia, and any declared willingness to put into place a real balance of powers can only be welcomed,” said the co-rapporteurs, emphasising that this could help a genuine democratic culture to take root in Armenia, marked by tolerance and the acceptance of a plurality of opinions.